As we journey through our Christian life, we should always seek to imitate Christ. 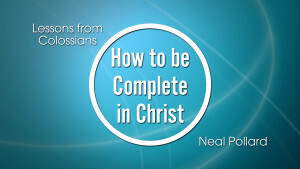 It should be our ultimate goal in life to be His disciples and in so being, we should be Christ-like. Join Mike Vestal in the lesson as he presents a lesson on the Bible topic of discipleship. The cross reveals the magnificent glory of God. When we look at the cross of Jesus Christ, we should see it as the stage for God revealing His glory in all of His greatness and all of His splendor. Join Mike Vestal in this video lesson as he presents an in-depth lesson on the glory of the cross. The more we seriously contemplate and study about the meaning of the cross, the more we see about the nature and glory of God. The cross of Jesus Christ is the stage upon which the the glory of God is most clearly revealed. 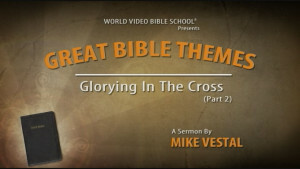 Join Mike Vestal as he presents a second lesson on the glory of the cross. Christianity stands or falls on the matter of grace. Without it, Christianity is nothing. 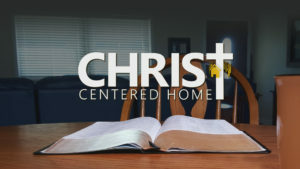 Grace makes Christianity distinct from all other world religions because of what it has to say about the grace of God. In this lesson, Mike Vestal takes an in-depth look at the topic of God’s grace and what it means to Christians. Grace is unmerited favor bestowed at Christ’s expense when anger was owed. 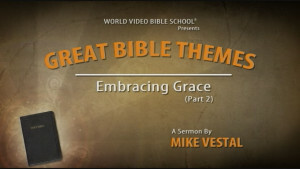 In this second lesson on God’s grace, Mike Vestal explores the beauty and importance of God’s love and mercy towards us. There is nothing more important than to be growing daily in the Lord. The book of 2 Peter is all about being spiritually minded in trying times. In this lesson, Mike Vestal expounds upon the seven “Christian Graces” that are found in the book of 2 Peter and how we can apply them to our lives to grow spiritually. What kind of legacy are leaving your family and those you love the most regarding eternity? When we pass from this world, what will they remember as our legacy to them? Join Mike Vestal as he presents this lesson on the importance of how we live our lives and what we do today can and will affect future generations. 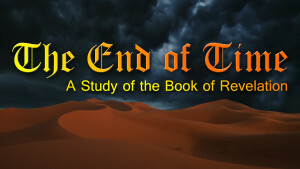 God wants us to finish our Christian race well and reach our eternal reward of heaven. He wants us to begin what we’ve started as Christians and finish even better. 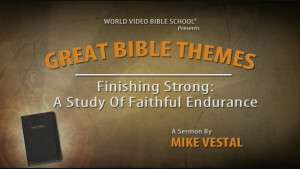 In this lesson, Mike Vestal presents an in-depth Biblical look at how we as Christians can have a strong faith to continually walk in Christ and obtain our ultimate goal.